Here are some comments; you are very welcome to send me yours, good or bad, and I will add them to the list. I have to remind myself that each little life that is saved is the only way to retain our sanity in this endeavor. Each winning story, each life spared the torture is what will drive me on..nothing else..Chars poem at the end is the clincher…my heart goes out to all the rescuers in Spain who face the broken bodies and souls, it is to them my cry goes out as well..how can they endure? We are far away, the pictures we see impact us, we work hard to help, but they, they have the brunt of the madness of Spain and these sub humans who do these things to our beloved galgos and podencos and all others suffering..it is truly sickening and it is good you put it out like it really is…It needs to be in Spanish as only the Spanish can make the changes. 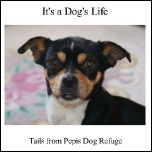 I hope this book gets in the hands of those who can legislate to help end this horrific situation..I know the rescuers can’t even breath under the burden, there has to be people, attorneys, people of means out there who can help stop this..I pray…. The book " from heaven to hell " as the title says is the story of the Spanish greyhound. In Spain the greyhounds are called GALGOS . This book gives you a very complete history of the galgo and an insight into the lives of these beautiful and gentle dogs. Even though I know how the galgos are treated in Spain I had to read the book very slowly and stop several times and try not to cry. It is so poignant. It moves you to tears. However you have to go on reading because it gives you lots of information on how to help the galgos. All my respect goes to the author " Beryl Brennan" who must have steelded herself to able to write it. Just received my copy of your book today and it is FABULOUS! I haven't had a chance to read it in it's entirety, but I did read several articles and looked at ALL the photos. It's SO informative and well written and best of all, to the point. I am proud to have been asked to share my story of Lucho with everyone. Received your book, From Heaven to Hell, it was one of the most difficult books to read, and yet a book that I felt I HAD to read. I have loaned it out to a friend that knew nothing about the plight of the Galgos, she is having a rough time learning the truth!!! I am so happy there are people like yourselves who as well as caring about the terrible fate of the galgos are also so involved in trying to do something about it - though it must seem like an impossible and endless task. personally, i cannot bear to think that spanish people are our 'brothers' in the EU! i have read your book through twice now - and as you have invited me to comment on your book, i feel i should. Here's a link to the GAGAH forum with another review. I have just finished reading the book and it broke my heart. I just had to kep cuddling my two precious galgos. It will take some time but I pray that eventually this terrible "holocaust" ends for such beautiful dogs and Spain wakes up to the responsibity it has. We all must play our part in helping that day comes soon. if you would like to write 200-300 words about your two. desire for vengeance, no fear other than that of displeasing. thank you so much for writing this book as hard and heartbreaking it is to read it is a must for anyone with any compassion for spanish hounds. i now am more informed on all the `politics`involved with the hunting situation in spain and feel more comfortable telling people the facts. my husband has taken the book to his workplace as some of his colleages didn`t understand his concern for the spanish hounds i am pleased to say they do now!! So pleased to receive your comments, this is exactly why I wrote the book. So many people have been unable to understand the complexities of why, however much we put pressure on Spain, nothing gets done. I will post your comments on my reviews page, and thank you again for your comments, and for caring about the galgos. The more publicity we get for their plight, the more we can hope to help them. I've yet to receive my copy, ordered and paid back on May 20th. I just sent and email to scootbooks to see what the hold up was. another rate which is taking approximately 2 weeks. Lets see what Scootbooks suggest. give, makes a difference to a needy galgo, whatever the situation. Charl was drained of emotion after she wrote that - as you can imagine.